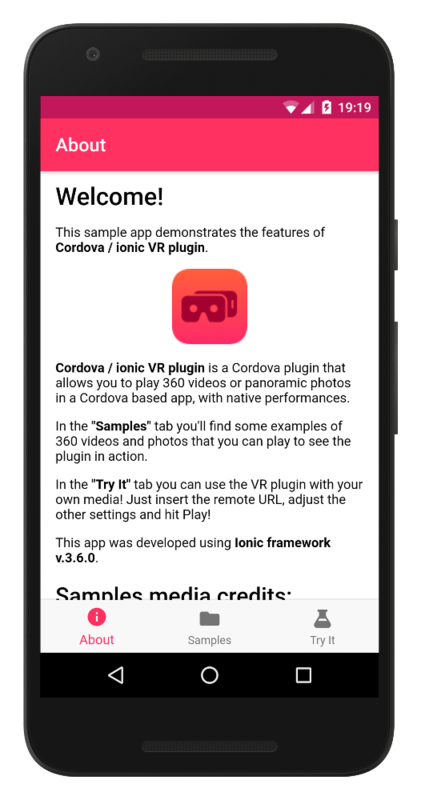 Cordova / ionic VR plugin is a Cordova plugin that allows you to play 360 videos or panoramic photos in a Cordova based app, with native performances. 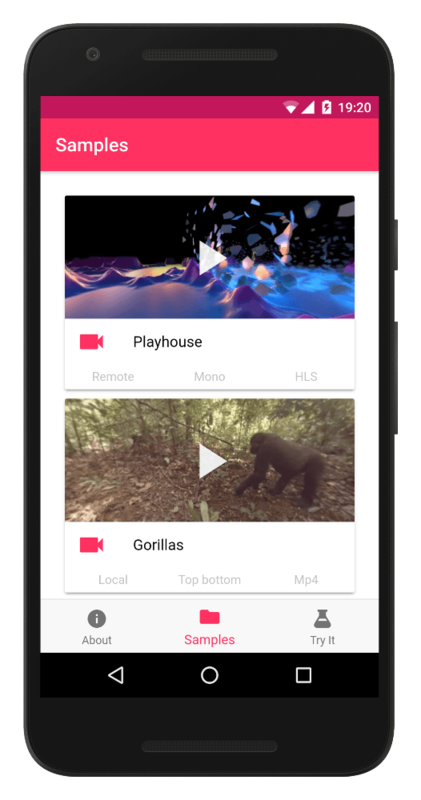 Streams your 360 content with native performances. 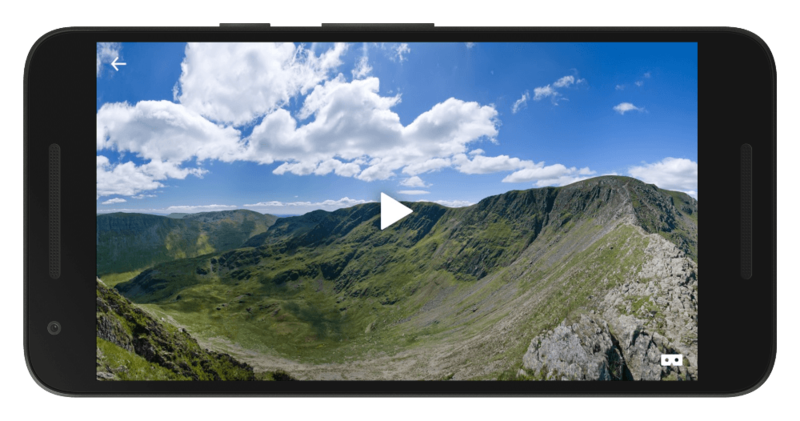 Supports Fullscreen mode and Cardboard mode for both videos and photos. Supports playing both local files and remote resources (online). Supports mono or stereo format for both photos and videos. Supports Android 4.4 or greater and iOS 8.0 or greater. Currently supports only smartphones, not tablets. 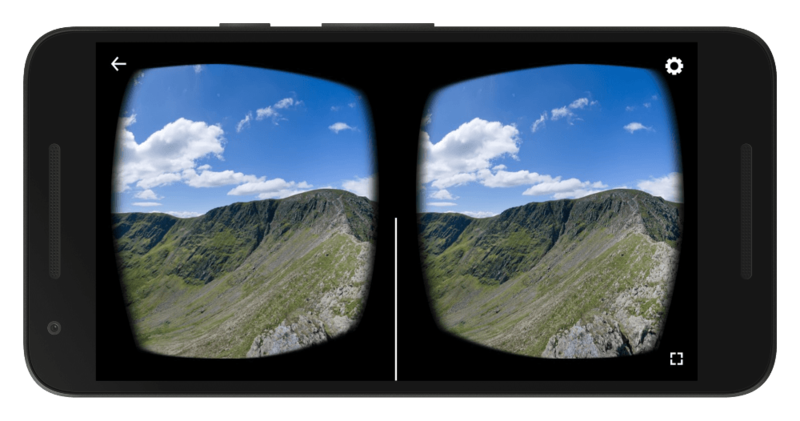 Based on Google VR view native library. Let's see it in action! Download the sample app and grab the code from Github to see all the functionalities that the plugin offers. 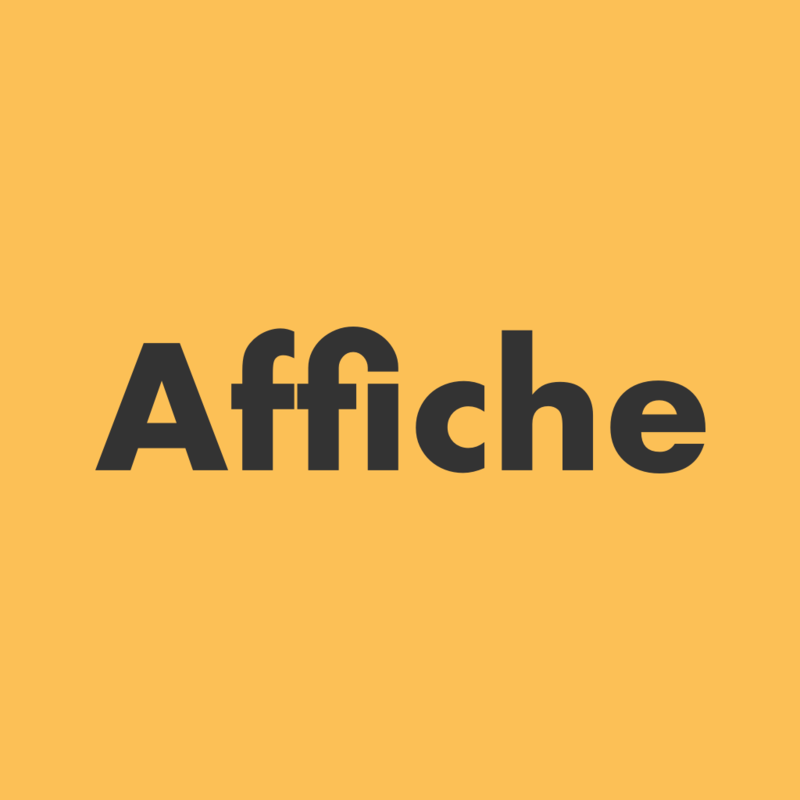 For any questions, suggestions or to let us know about your app please do not hesitate to contact us.